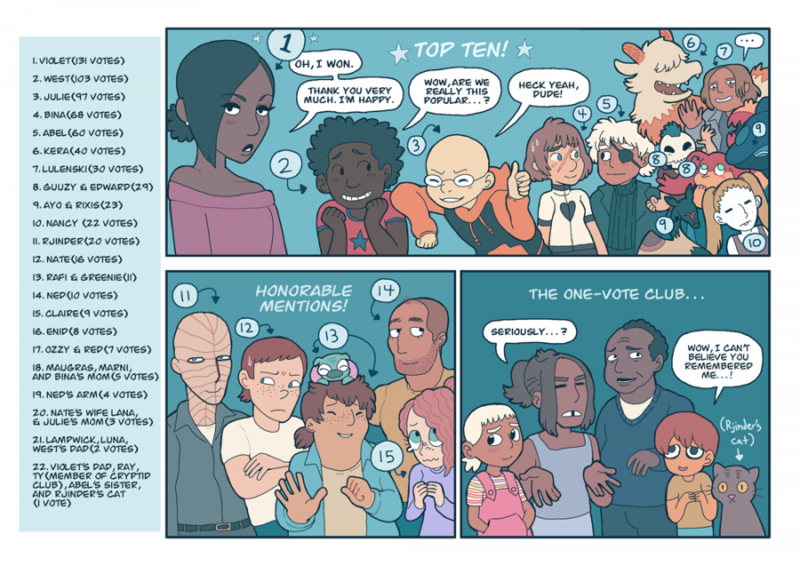 Monster Pulse - Character Poll Results! Since the chapter's over, here's the results of the character poll I ran last week! I was very happy to see so many people participate. Thank you all so much! By the way, I did consolidate votes for Violet and her brain monster Anima, since unlike most of the monster-human pairs, they are the same person/being/whatever. However, since there were only one or two votes for Anima alone, Violet still would have been the winner by a significant margin anyway.